ContestsIndia.in is sharing a nice contest conducted by Shillong Lajong Football Club (SLFC). The contest is named 'Lajong Gionee Contest'. You can win a Gionee Smartphone from SLFC. 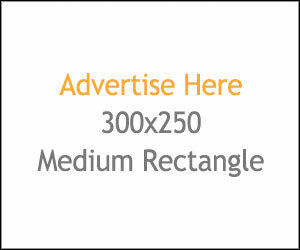 All you have to follow some simple steps as mentioned below. Step 3- Answer three questions as a comment on the contest post. Answers are done for you. Q1. Name the player who scored 7 goals for Lajong in the I-League 2013-14 Season and 7 goals in the I-League 2014-15 Season? Answer- Uilliams Bomfim Souza scored 7 goals for Shillong Lajong in 2013-2014 and 2014-2015 season. Q2. 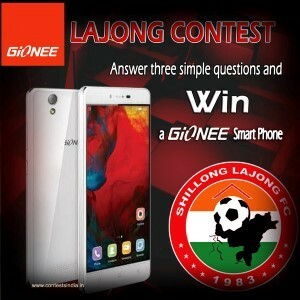 Which year did Gionee begin the association with Shillong Lajong FC? Q3. What was the scoreline of Lajong's last home match in the I-League 2014-15 Season? You can win this smartphone absolutely FREE by participating in this contest.